Safety is our top priority – for you and your vehicle. 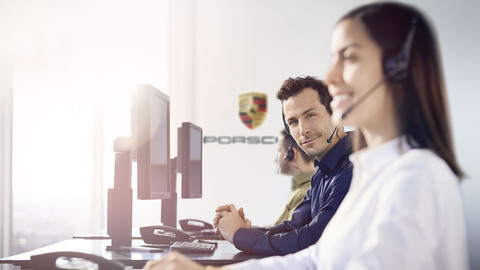 You can therefore call on assistance at any time if you need it, and sensors in your Porsche will make an automatic emergency call in the event of an accident. You can also activate an emergency call manually using the Emergency Call button, if needed. If an emergency call is activated, legally required data (MSD) and additional optional data (ESD), such as accident location, direction of travel, etc. are transmitted. An emergency procedure is immediately activated and the emergency services are informed.